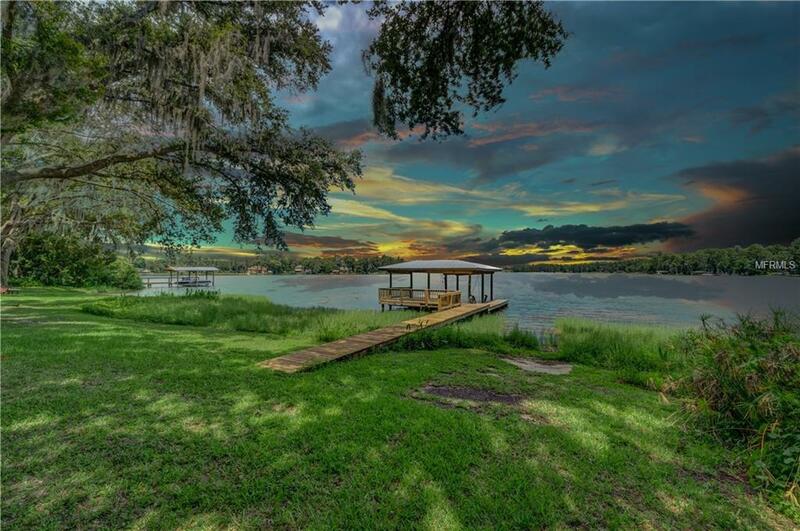 This alluring waterfront home is nestled on a .9 acre lot on scenic Lake Anne, a 92 acre spring fed, ski lake in Odessa. 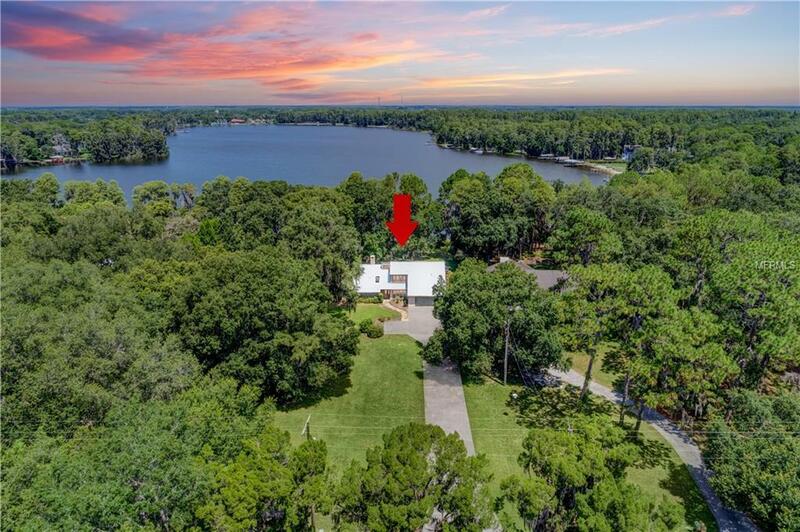 Serious boaters will appreciate the easy access to this terrific ski lake, plus abundant fishing from your own boat house, ramp and dock. Bird watchers call it heaven as nature abounds. Located in an area where homes remain unhindered from restrictions or homeowner associations. This home's charms go well beyond the majesty of its timeless presence, reminiscent of Old Florida. 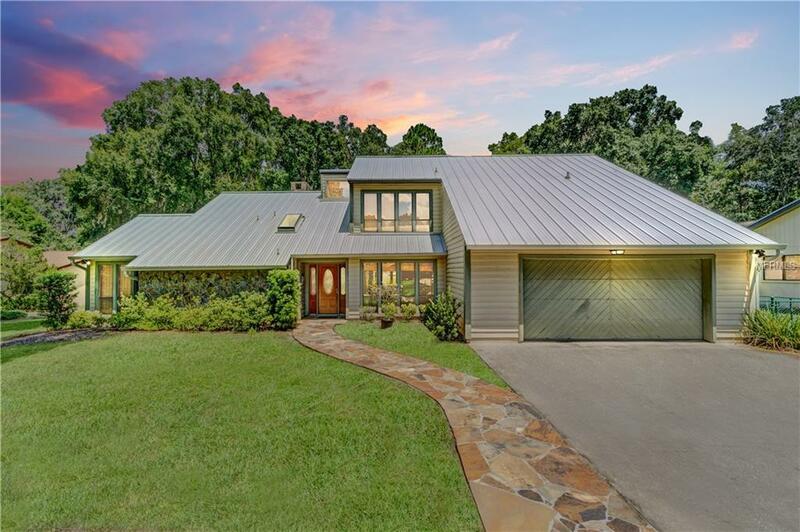 From the moment enter the long driveway surrounded by oak trees, you are transported to a magical time when residents spent lazy Sunday afternoons with family & friends. 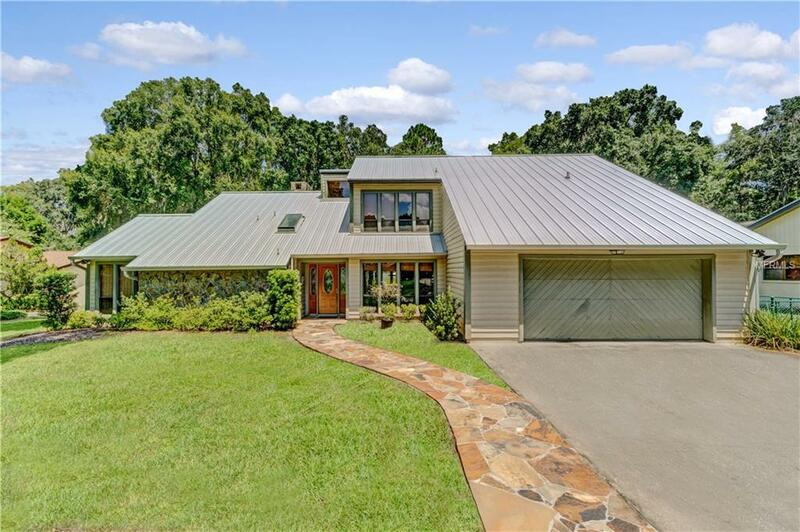 This two story home has a metal roof (2014), adding longevity & energy efficiency! There is a romantic, floor to ceiling stone fireplace in the enormous great room, perfect for chilly nights. This 3 bedroom home with a BONUS room/loft and formal dining room boasts an open design with vaulted ceilings. There is an huge eat in kitchen with cooking island and tons of cabinetry, overlooking the lake. The home features an upstairs AND downstairs master suite with an additional secondary bedroom downstairs. The home has a Rhino Shield Coating with a lifetime warranty. This home has been virtually staged. A short drive to area restaurants, schools, the Suncoast Trail and just minutes from the Suncoast Expressway. Here's your chance to own a fabulous waterfront home with unmatched charm and million dollar views priced thousands below other area homes!